On Sunday, after having spent most of the day at home recovering from some great party, we decided to keep the kitchen shut down and have a pizza outdoor. As part of the discover of the restaurants around Luxembourg city, we decided to head to Mamer to Pulcinella. We booked a table at 8 pm for the terrace. The restaurant Pulcinella is less than 15 minutes driving from Luxembourg city – on Sunday, at that time, motorway was very calm. You have to park in the streets and we actually found a spot only few minutes from the restaurant. We were accompanied to our table and given the menu. The terrace was quite full and in less than half hour it became totally packed – we did well booking in advance. 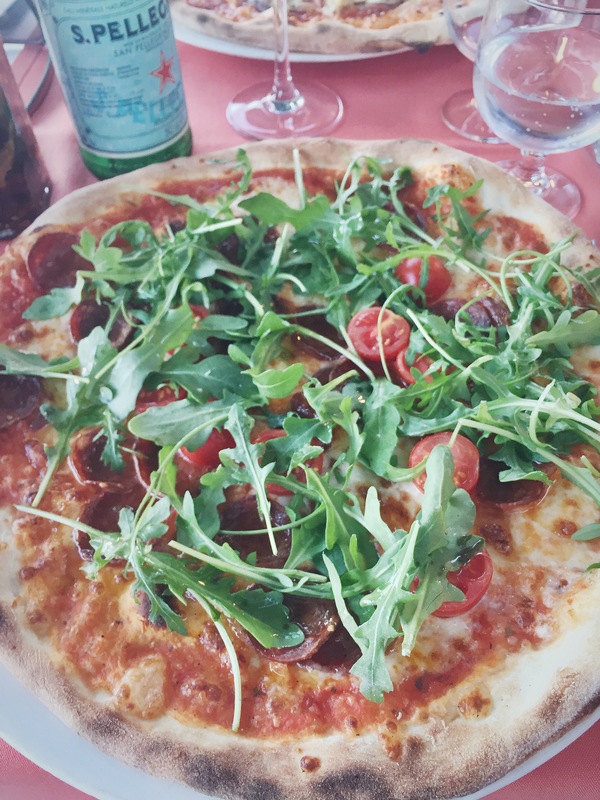 We had some water and diet coke and after a while ordered our pizzas – I went for a Carrettiera – with spicy salami, cherry tomatoes and arugula – while hubby when for a Capricciosa and a glass of Primitivo wine. Hereafter you will find the pictures and my impressions. Pizza was good and prepared with fine Italian ingredients. I enjoyed as well the chilli oil that was left on the table. Service was simple but effective. Even if we had only two pizzas – and hubby a small dessert at the end – the dinner was very relaxed – arrived at 8 pm, we left at 11 pm. Bill was extremely fair: 2 pizzas, 2 water, 1 coke, some wine for hubby and a dessert were in total 54 euro. With that price, in some places in the city you barely have 2 pizzas. The terrace is on the main street, therefore can be somehow noisy and this I have to say was the only negative point. Then to go the extra mile, it would have been really nice to receive some small amuse-bouche (even some bruschetta with garlic and oil, nothing too sophisticated) in the quite long wait for the pizza. 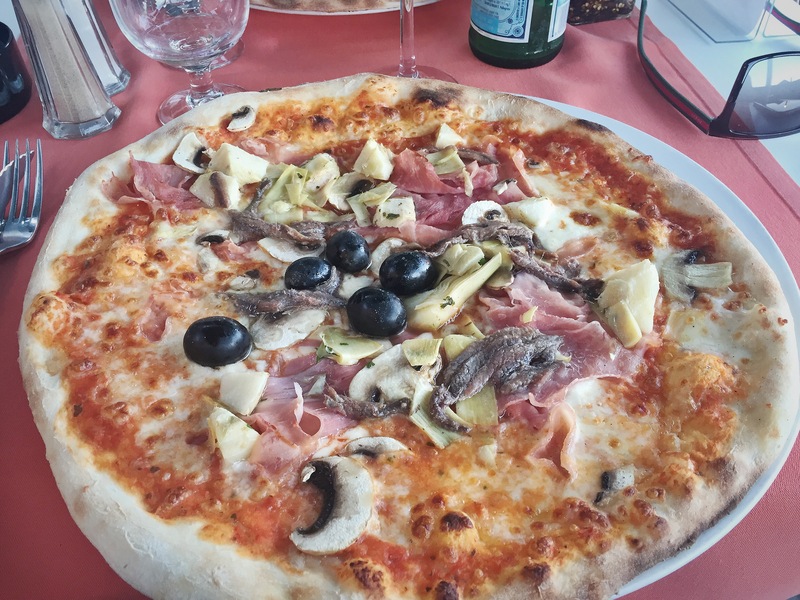 In conclusion: Even if without a special wow factor, Pulcinella was the perfect place for a relaxed Sunday authentic Italian pizza. Very competitive prices and a kind service, I would definitely recommend it for a pizza with friends.